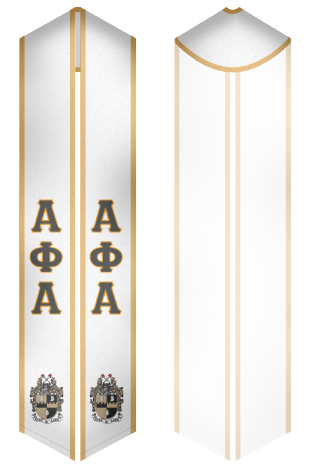 Custom Sash Get your Alpha Phi Alpha graduation stoles online today. 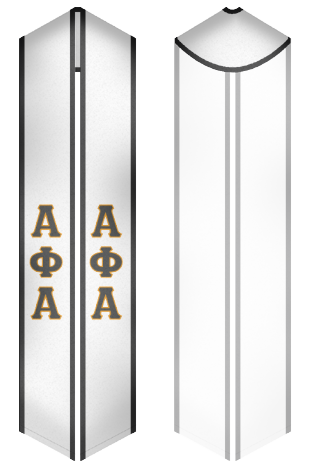 Alpha Phi Alpha is the first Black fraternity based out of Cornell University, New York. 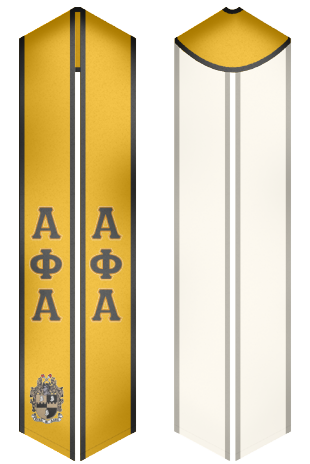 The fraternity has over 800 chapters and has over 290,000 members. The fraternity has famous alumni such as Martin Luther King, Olympian Jesse Owens and singer Lionel Richie. Being part of a fraternity is like being part of one big family. 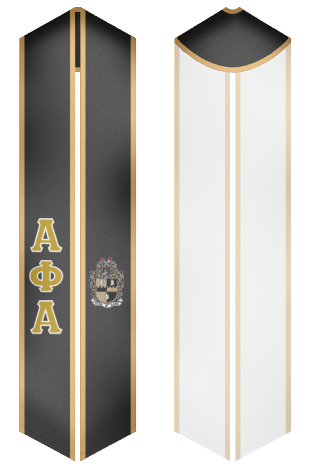 So when you graduate make sure you let every one know that you are proud of your fraternity and order your sash to make this a memorable event.